This past weekend was the annual TWO x TWO gala and art auction. In what has become the most glamorous and fashionable event of the year, TWO x TWO brings together internationally renowned artists, designers and philanthropists to raise millions to benefit amfAR, Dallas Museum of Art and The Foundation for AIDS Research. This year supporters led by gala chairman Nancy Rogers and event hosts Cindy and Howard Rachofsky raised $7.5 million, bringing their 18 year total to a staggering $67 million raised to assist in HIV/AIDS research and to support the arts. This years guests included actress Zoe Saldana, Tony and Candice Romo, designers, Prabal Gurung and Rosie Assoulin, with a very special performance by Ricky Martin. "The success of Saturday night's event is due to the unmatched generosity of the artists, gallerists, and TWO X TWO supports from across the United States and overseas. Their commitment is unparalleled and their donations of amazing art has allowed us to raise over $7.5 million, bringing our 18 year total to over $67 million. 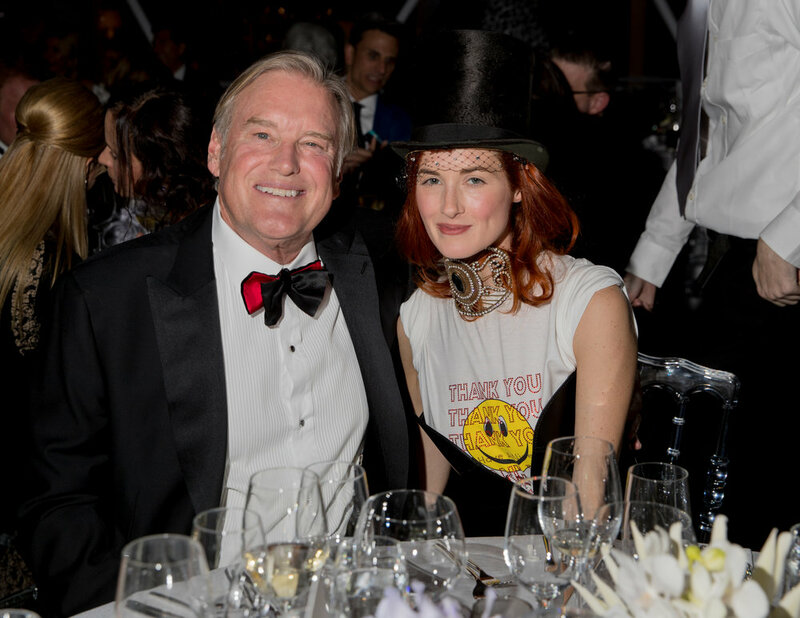 TWO X TWO for AIDS and Art continues to play a very vital role in fundraising for both amfAR and the Dallas Museum of Art," said Howard Rachofsky. The annual black tie gala is part of a week long series of events and held at the Richard Meier designed Rachofsky House and is the largest U.S. fundraiser for amfAR and The Dallas Museum of Art. For more information on TWO X TWO please visit twoxtwo.org.